Looking to learn a little Korean this summer or just boost your current level? 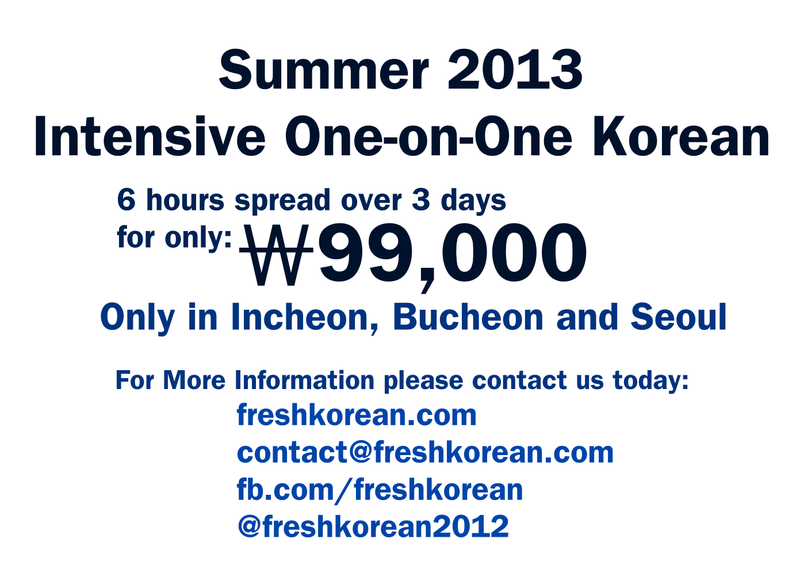 Well Fresh Korean has teamed up with an experienced private tutor to offer a great summer special. The lessons are available in and around the Hongdae area of Seoul. They include a FREE Coffee (or other beverage) everyday. You can basically study what you want or need, so unlike in a group or class you can “Study Korean Your Way”. Hongdae, Seoul and surrounding area. Parts of northern Incheon are also possible. This offer runs from now until the start of September 2016. Free Coffee (or other beverage) everyday, a complementary Notebook and Pen. Your teacher will also being resources, worksheets, books etc for use during the lessons. Firstly we don’t want to post exact personal details of the teacher here but here a a brief summary. Your teacher is a female native Korean in her 20s, a University graduate and is conversationally fluent in English (as well as Korean of course). She has over 4 years of both classroom and private Korean Language tutoring experience. 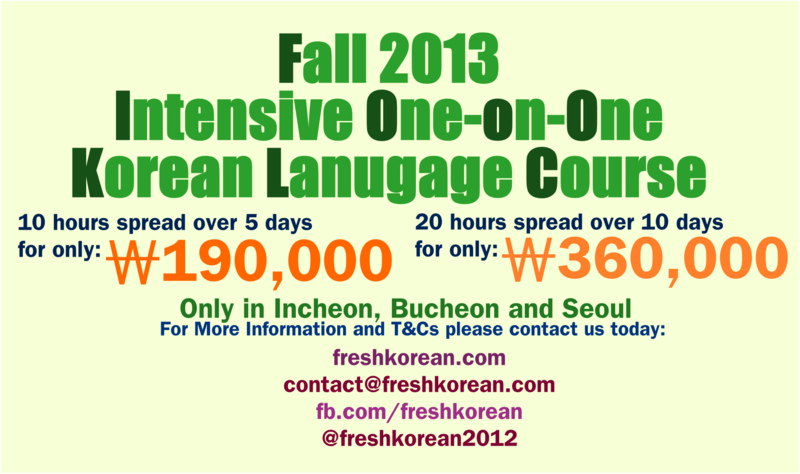 Contact jeonghye@freshkorean.com for more information. Term and Conditions apply. * Courses are one-on-one and therefore friends or family members cannot join in the lessons.